Great Last Minute Deals available !! !! 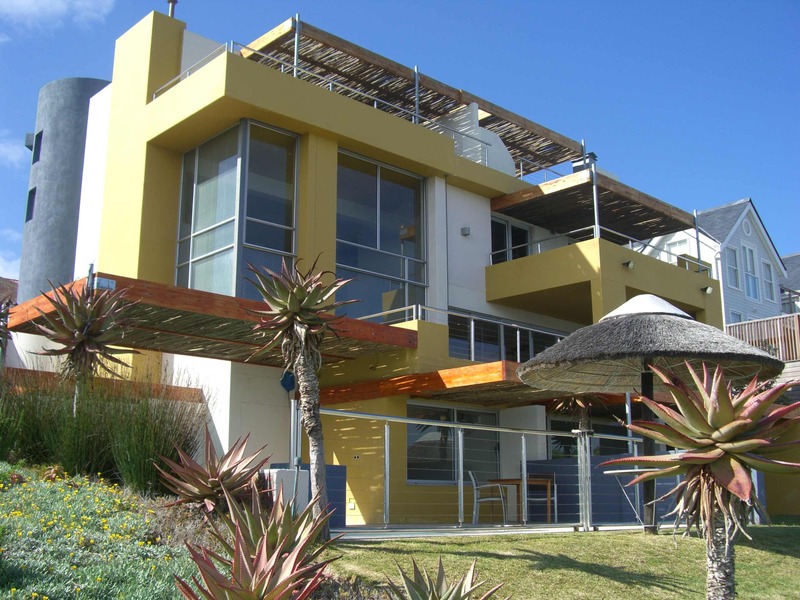 Built from scratch in 2005, this beautiful sea front guest house is designed to let you marvel at the sound of the whales, to let you discover this pristine coastal area and to relax. 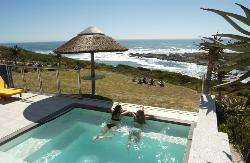 Here you will certainly enjoy some of the finest sea views in South Africa. 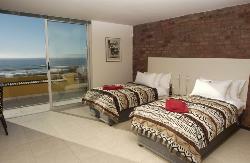 2 Panorama Suites and 3 Atlantic Garden Rooms of excellent quality. Spacious bath area with spa bath and -shower in the suites. Direct access to the heated pool and the beach. A full health breakfast buffet is served - on the sea view veranda or inside - with a wide variety of the freshest local produce to please any palate. A stay at Crayfish Lodge also includes an optional gourmet dinner in one of the most stunning restaurants of the area: our affiliated Chaîne des Rôtisseurs partner restaurant ‘Red Indigo’ @ Grootbos Private Nature Reserve, a mere 10 min drive away. All our rooms are equipped with DSTV decoders, offering a selection of satellite TV channels - including movie-, sports-, news- and foreign language programs. Children 16+ welcome, no pets allowed. Free WiFi Internet. Crayfish Lodge is a TGCSA graded 5 Star Guest House. AA Quality Assured ‘Superior’ Accommodation. Coming from Cape Town, you reach our area “Overberg” best taking the N2. Follow the signs to Hermanus on the R 43. Pass Hermanus and Stanford. At the second entrance to De Kelders turn right from the main road R 43 into De Kelders (De Kelders / Standford’s Cove). After turning at the De Kelders/Perlemoen Bay sign, turn left into Hoofweg at the four way stop. Take the next street to turn right into Retreat Street and then right again in Killarney Street (cul-de-sac). Crayfish Lodge is the last house on the left hand (sea-)side. From Baardskerdersbos/Pearly Beach/Gansbaai on R 43: Leave Gansbaai towards Hermanus. After approximately 700 m take the first entrance to “Perlemoen Bay” (sign). fter turning at the Perlemoen Bay sign, take the next street right into Hoofweg. Follow it and turn left at the next street (Retreat Street) and then right again in Killarney Street (cul-de-sac). Crayfish Lodge is the last house on the left hand.